Some people just seem to have it in them to flaunt what they have. One such person at this point of time is Roman Abromovich, a famous Russian businessman. 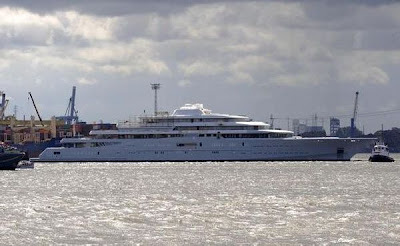 He just built himself the world’s most expensive private yacht at a whopping cost of $420 million. Apparently, the yacht is just $60 million cheaper than the Airbus A380 super jet, which was built for Prince al-Waleed Bin Talal. The 9 deck yacht comes with all the possible luxurious facilities. It has a 550 long feet vessel and two helicopter landing decks. Besides, it has a massive pool with multiple bars, a movie theater, library, restaurant, private garden and a 5000 square foot master suite. There are also 20 jet-skis stored inside the ship. As the world’s most expensive yacht can possibly invite the envious eyes and may cause trouble to the owner. In order to avoid such circumstances, Mr. Abromivich included a submarine and a missile detection system. 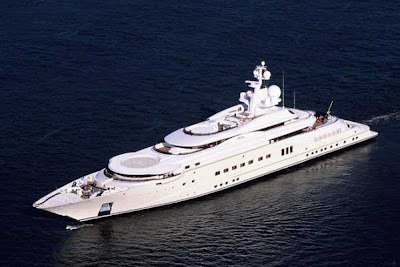 The previous yacht owned by US businessman Larry Ellison of Oracle was one of the most expensive yachts in the world. However, its size was just about half of the new one. The previous yachts, which attempted for “superyacht” were all under $100 million.